Kala Pierson is an American composer and sound artist. Vivid, expressive, and full of bold colors, her music has been performed in more than 30 countries on six continents, widely awarded and commissioned, and published by Universal Edition. Her music's "seductive textures and angular harmonies" (Washington Post) build into "massive chords throwing out a wall of sound, like a modern-day Gabrieli" (San Francisco Classical Voice), and her focus on setting documentary and culturally resonant texts leads to works of "marvellous political power" (Louis Andriessen). She's held season-long composer residencies with American Opera Projects, Tribeca Performing Arts Center, Lower Manhattan Cultural Council, and San Francisco Choral Artists. Recently, she's been the featured guest composer of Truman State University's New Horizons Festival; a resident at Yaddo, MacDowell, and the Britten-Pears Foundation; and a Big Sky Choral Initiative Composer Fellow with The Crossing. She's initiated many international projects and has appeared as a guest composer or lecturer at the Hochschule für Musik Köln (Germany), Musikhögskolan i Piteå (Sweden), Summer in Sombor (Serbia), Boston University, Syracuse University, Tanglewood's BUTI, and Fordham University. She's collaborated with a wide range of visual artists, filmmakers, choreographers, writers, and theater directors. She represented the U.S. in the Swedish government's 2015 KIM grant exchange, meeting with leading Swedish musicians and working as a Composer in Residence at the VICC / ISCM Gotland Section. Her career-long love for finding and setting meaningful, recent texts has led her to settings of American journalist Mumia Abu-Jamal and others writing from death row; Cameroonian gay rights martyr Roger Mbede; texts in honor of the blacklivesmatter movement; and the many writers in her Axis of Beauty project (in which, since 2004, she has collected and set to music a broad range of both literary and 'found' texts by living Middle Eastern writers). Her music has been presented in major festivals including the Southbank Centre Biennial (UK), Musica Viva (Portugal), Contemporanea/Citta di Udine (Italy), Tanglewood (USA), International Congress of Art and Technology (Brazil), Vienna Days of Contemporary Piano Music (Austria), Canaan Downs (New Zealand), Art Basel Miami Beach (USA), impuls (Austria), International Computer Music Conference (USA), SEAMUS National (USA), and Ars Musica (Belgium). Her awards include those from the Mauricio Kagel International Composition Competition; New Music USA; American Composers Forum; Meet the Composer; ASCAP; Lower Manhattan Cultural Council; VocalEssence; Dale Warland's Choral adVentures; the Gregg Smith Biennial Composition Prize; the 2016 GALA Choruses consortium commission from fifteen U.S. choral groups; and the Austrian, German, Serbian, and Swedish ministries of culture. In addition to Britten-Pears, VICC, Yaddo, and MacDowell, her residencies include The Banff Centre's Leighton Artists Colony, Bloedel Reserve, I-Park Foundation, VCCA, Hambidge, Wildacres, Dorland, and Avaloch. Born in 1977, she studied composition at Eastman School of Music (with Joseph Schwantner, Augusta Read Thomas, David Liptak, and Robert Morris) and Bard College at Simon's Rock. At festivals, she's also worked with Steven Stucky, Henri Dutilleux, Chaya Czernowin, Mario Davidovsky, Louis Andriessen, and Ted Hearne. She's a self-taught santur (Persian hammered dulcimer) player and a laptop/audio performer. She lives in Philadelphia with her spouses and son. Connect with her on social networks or at kalapierson.com. The bio above is 500 words. Below are shorter bios for those who need them. Please reproduce bios as written (please don't edit). If you need a different word count, just contact Kala and you'll get it fast. Higher-resolution headshots: 640 x 480; 1200 x 900. Square-format headshot: 1200 x 1200. Photo credit: by Daniel McKleinfeld. She's initiated many international projects and appeared as a guest composer or lecturer at schools in four countries. She represented the U.S. in the Swedish government's 2015 KIM grant exchange, meeting with leading Swedish musicians and working as a Composer in Residence at the VICC / ISCM Gotland Section. Her awards include those from the Mauricio Kagel International Composition Competition; New Music USA; American Composers Forum; Meet the Composer; ASCAP; VocalEssence; Dale Warland's Choral adVentures; the Gregg Smith Biennial Composition Prize; the 2016 GALA Choruses consortium commission from fifteen U.S. choral groups; and the Austrian, German, Serbian, and Swedish ministries of culture. Born in 1977, she studied composition at Eastman School of Music. She's a self-taught santur (Persian hammered dulcimer) player and a laptop/audio performer. She lives in Philadelphia with her spouses and son. Connect with her on social networks or at kalapierson.com. Kala Pierson is an American composer and sound artist. Vivid, expressive, and full of bold colors, her music has been performed in more than 30 countries on six continents, widely awarded and commissioned, and published by Universal Edition. Her music's "seductive textures and angular harmonies" (Washington Post) build into "massive chords throwing out a wall of sound, like a modern-day Gabrieli" (San Francisco Classical Voice), and her focus on setting documentary and culturally resonant texts leads to works of "marvellous political power" (Louis Andriessen). She's held season-long composer residencies with American Opera Projects, Tribeca Performing Arts Center, Lower Manhattan Cultural Council, and San Francisco Choral Artists. Recently, she's been the featured guest composer of Truman State University's New Horizons Festival; a resident at Yaddo, MacDowell, and the Britten-Pears Foundation; and a Big Sky Choral Initiative Composer Fellow with The Crossing. Her awards include those from the Mauricio Kagel International Composition Competition; New Music USA; American Composers Forum; ASCAP; and the Austrian, German, Serbian, and Swedish ministries of culture. Born in 1977, she studied composition at Eastman School of Music. She's a self-taught santur (Persian hammered dulcimer) player and a laptop/audio performer. She lives in Philadelphia with her spouses and son. Connect with her on social networks or at kalapierson.com. 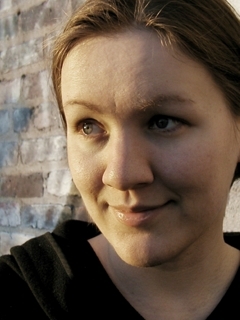 Kala Pierson is an American composer and sound artist. Vivid, expressive, and full of bold colors, her music has been performed in more than 30 countries on six continents, widely awarded and commissioned, and published by Universal Edition. She's held season-long composer residencies with American Opera Projects, Tribeca Performing Arts Center, and San Francisco Choral Artists. With deep interests in non-western musics, she's initiated many cross-cultural projects. Born in 1977, she studied composition at Eastman School of Music and now lives in Philadelphia with her spouses and son. Connect with her on social networks or at kalapierson.com. 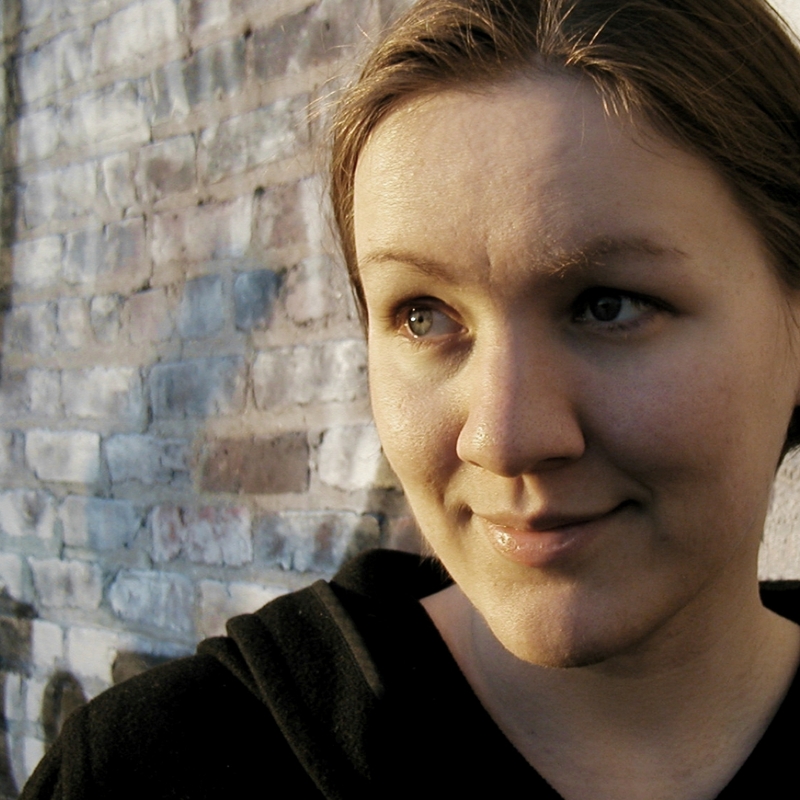 Kala Pierson is an American composer and sound artist. Her music has been performed in more than 30 countries on six continents, widely awarded and commissioned, and published by Universal Edition. With deep interests in non-western musics, she's initiated many cross-cultural projects. Connect with her on social networks or at kalapierson.com.